I spend a lot of time in my kitchen. To keep myself occupied, I listen to podcasts. I have become obsessed with podcasts. One of my favorites is The Simple Mom Podcast. One of the episodes featured Jessica Fisher of Life as Mom. I started following her blog after hearing her on the show. 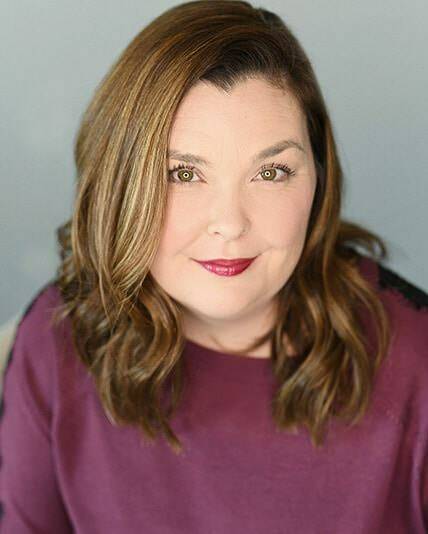 She recently published a book called Not Your Mother’s Make Ahead & Freeze Cookbook. I was given a review copy and I have to say that I love it. Our lives have gotten so much busier as our kids have gotten older. Between practices, games, appointments, I feel like dinner sometimes is a second thought. I love having dinner with my family every night and I don’t want it to be a rushed thing, I want it to be a chance to reconnect and find out about their day. And I want it to be in our home. 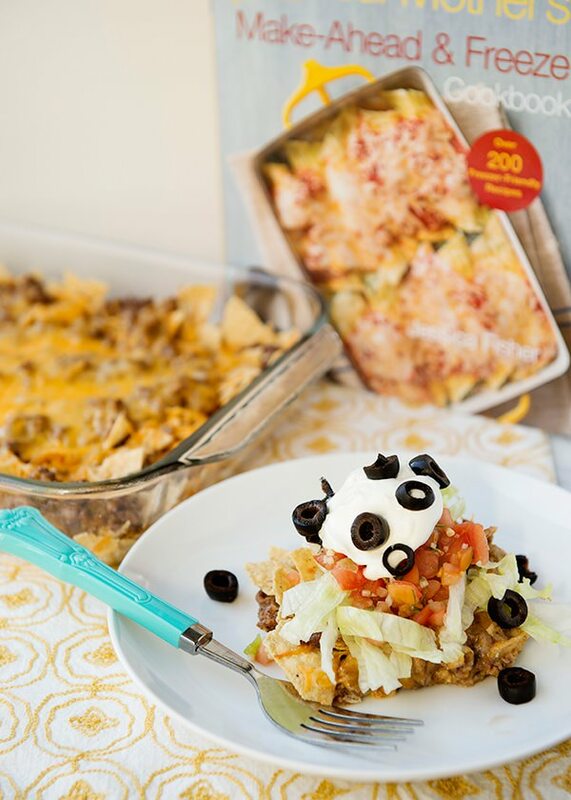 Jessica’s book is full of freezer friendly meals that are made with healthy and wholesome ingredients. Nothing processed. I really like the idea of having a few meals in my freezer for days when I really don’t have the time to make dinner. I feel like it is having a little insurance. By having a meal in the freezer, it means one less night eating out. I let the kids look through the book and they wanted me to make Lawnmower Tacos. It is just about the most perfect boy meal ever. The most beautiful part, you can make two. One to eat the day you make it, and one for another night. 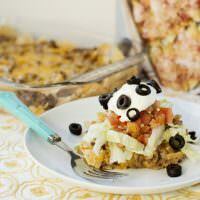 Top with shredded lettuce, salsa, sour cream, and olives and let everyone top them they way that they want to. 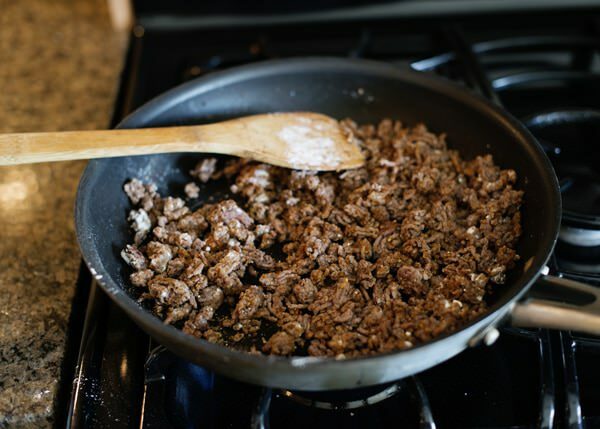 Brown beef in a saute pan over medium-high heat. Cook until it is no longer pink. Drain any fat. 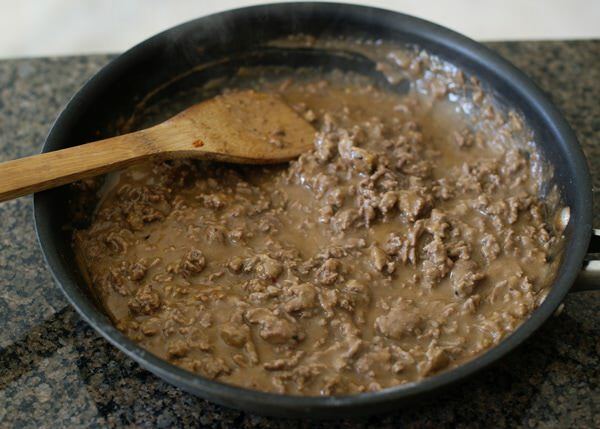 Add taco seasoning and flour. Simmer until thick, about 15 minutes. Put the chips in a bag and crush them up a little bit. Spray a 9×13 pan with cooking spray. 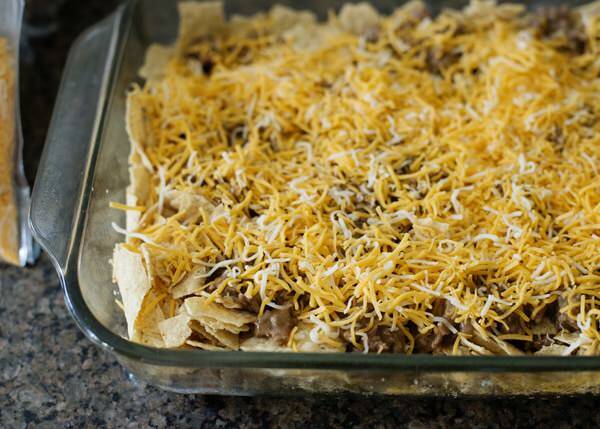 Layer chips, taco meat, and cheese. Add another layer. At this point, cover and chill before freezing. If frozen, thaw in the fridge. Bake in a preheated 325 degree oven for 20 to 30 minutes. 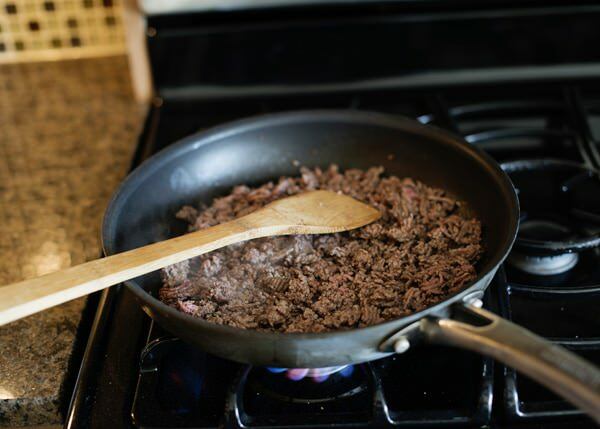 Brown beef in a saute pan over medium-high heat. Cook until it is no longer pink. Drain any fat. 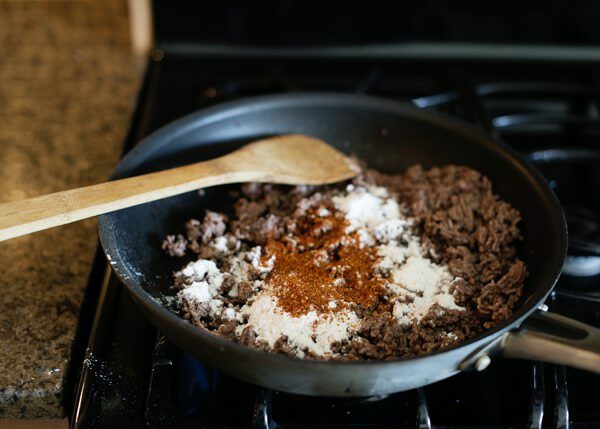 Add taco seasoning and flour. Cook for a minute. Add chicken broth. 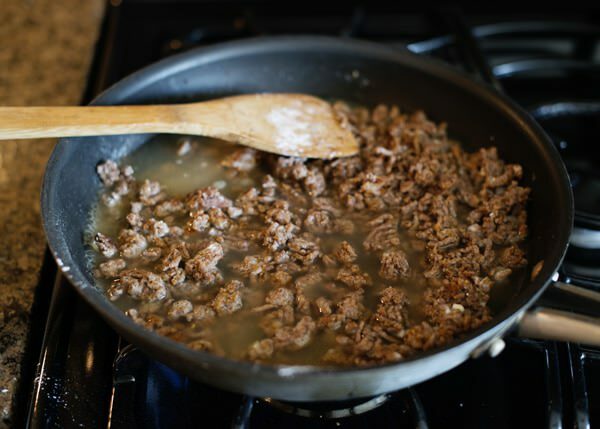 Simmer until thick, about 15 minutes. 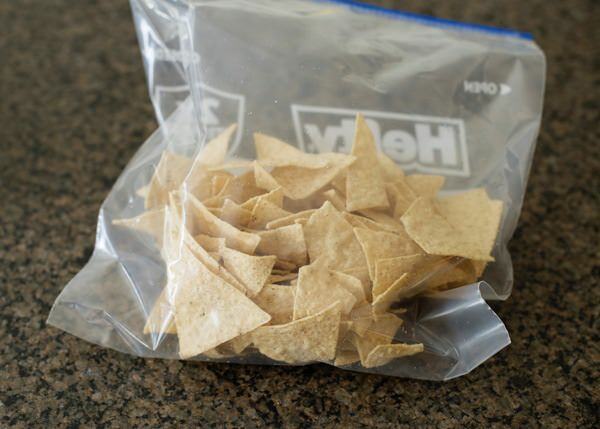 Put the chips in a bag and crush them up a little bit. Spray a 9×13 pan with cooking spray. 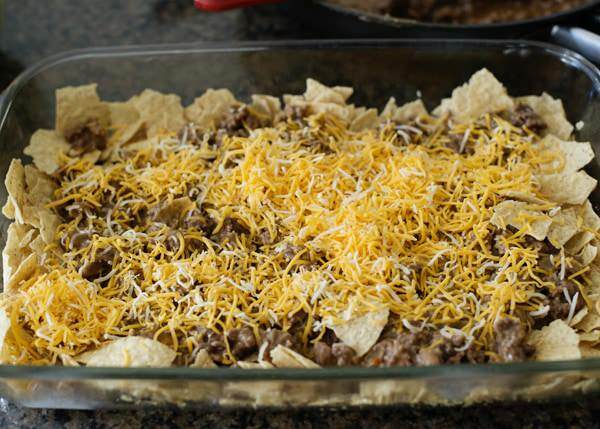 Layer chips, taco meat, and cheese. Add another layer. At this point, cover and chill before freezing. LOVE love love make ahead meals! These look amazing. I rarely make anything like this, but will from now on. I love freezer meals, and I love Life as Mom!!! This looks yummy! Such a convienent spin on taco’s! 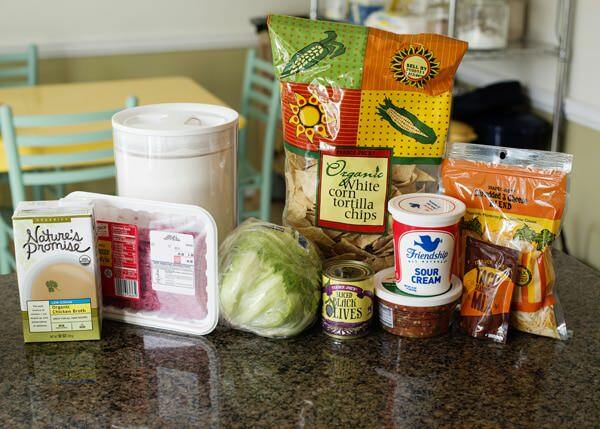 I only wish I had more room in my drawer freezer to store more pre-made meals like this! I’d do it all the time! You really don’t need that much room. She talks about it a lot in the book. You should check it out. Just wanted to let you know of the little typo on this; it says LawnMOVER Tacos 🙂 Regardless, we are making this next week! LOL. Thanks. Having a hard time spelling these days! I never thought of freezing chips that way! It would be a great time-saver! You should get this book, it is great. 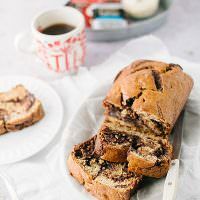 I love the straightforwardness and layout of your blog…and THIS is seriously drool worthy! I agree-sometimes it is nice to have something to pull out of the freezer-with no additives like this one! It is really nice to have dinner ready when life gets crazy. I am really digging this recipe. The fact that it’s easy and something you pop in the freezer for another time just takes it over the top for me. I love meals I can make two batches of and freeze one for another time. I need to get my hands on that book. I’ve not listened to podcasts before. I’m so behind the time. It is a really great book. Nothing processed. You are welcome! Thanks for writing such a great book! I have never freezed chips before. Anyway, thanks for the recipe, bakedbree! 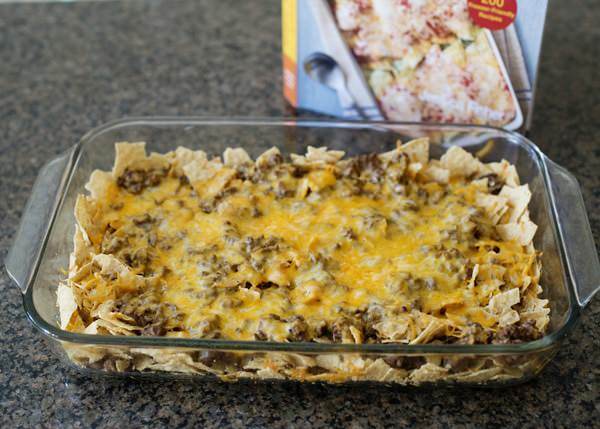 Do you think making this in 2 8×8 pans would affect the recipe? 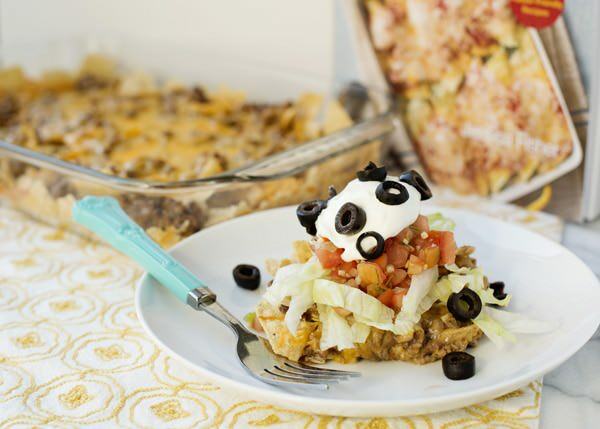 I love this recipe and you can store it in the freezer and just put it into the oven and have something great to eat! That’s one of the easiest and best tasting recipes I’ve ever seen. The best thing about it is that you can prepare it and store it in the freezer and when you come back from work you simply put it into the oven and you are good to go! I know! I just made this a few days ago. My kids love it just as much every single time I make it.